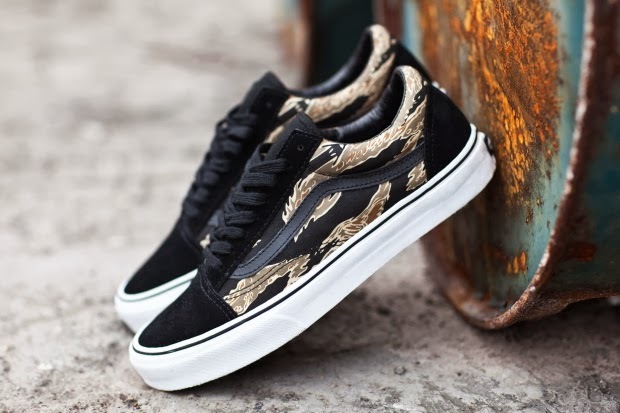 Adding to its collection of Old Skool colorways for the spring, Vans Classics presents this tiger camo/black colorway. This model features a nylon tiger camo upper with black suede overlays at the toe box, heel, and eye stay, and the iconic Sidestripe logo in black leather. A black canvas tongue, plush black leather collar lining, and thick black laces round out the look for this colorway. You can find it now at select stockists and Vans’ online store.